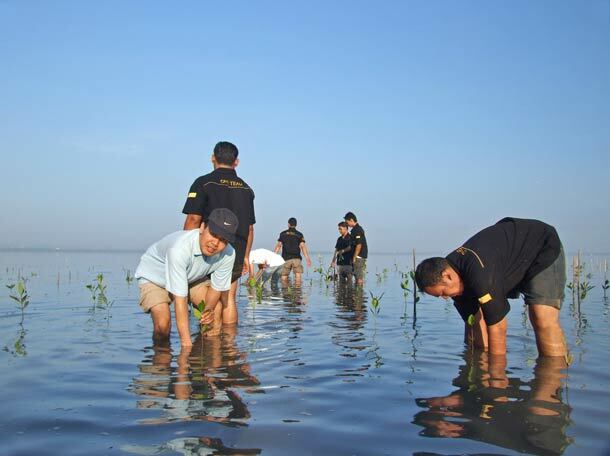 Muddy Job: Members of Conrad Bali’s staff plant environment-boosting mangrove saplings at Tanjung Benoa. The activity was as part of its 2010 environmental programme. Full story here.